The 3rd edition of NMC 2017 is set to will at Four Points By Sheraton, Victoria Island on Thursday, July 27, 2017. 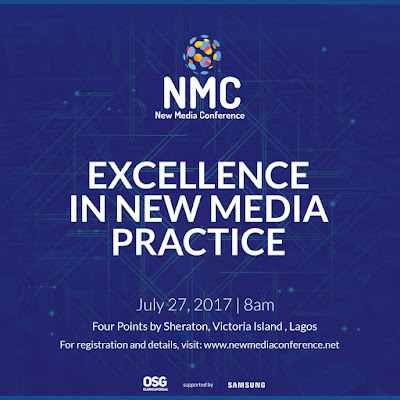 This year's conference themed, "Excellence in New Media Practice" will be hosted by Arit Okpo and will have some of the top Nigerian media executives in the PR, Digital, Media, Law and Marketing industries. 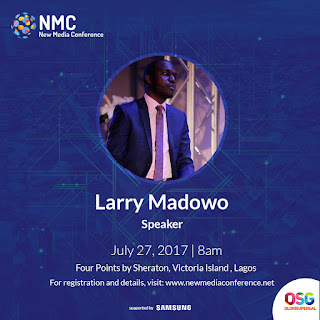 Founder, Red Media Group, Chude Jideonwo, Kenyan TV Presenter and Columnist, Larry Madowo, Senior Manager, Product Marketing, Samsung Nigeria, Olajumoke Okokiolu. 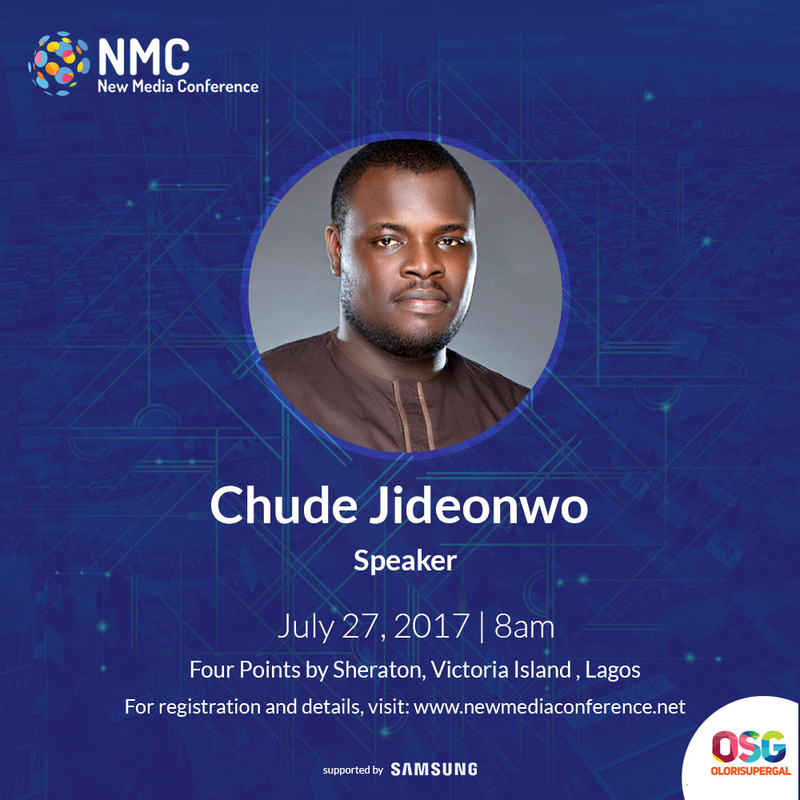 MD/CEO Esob Ventures, Adesumbo Ajaba Adeoye, CEO/Founder of LSF PR, Bidemi Zakariyau, Legal Council, Samsung West Africa, Chidiebere Eze-Ajoku, Head, PR and Corporate Communications, MNet Africa, Efosa Aiyevbomwan, Business Consultant and Founder, Akwaaba African Travel Market, Ikechi Uko. There will be a Master class session which will hold during the conference and will have top digital analysts including Bolu Essien (Terragon Ltd), Toba Obaniyi (WhoGoHost), Bukky Kukoyi (Quadrant Company) and Adewale Yusuf (TechPointNG)........... Time: 11 am. - The New Marketing tools. Limited seats available so hurry now and register!